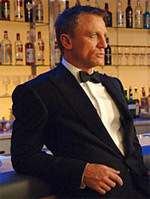 Personally, I'm a Daltonite at the moment (the fickle Bond fan), as I love the intensity he brought to the role. I also think he's the best actor to have played Bond to date. That is until Casino Royale. 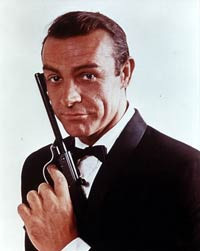 I think it's safe to say that Craig is only the second Bond actor who has the pedigree to become number one. But, the problem is will the traditionalist Bond fans who praise Connery and could never imagine putting anyone above the great Scot, be able to swallow the fact that Craig may just be the better Bond? The main argument against anyone bettering Connery is usually the same old, same old. �Connery defined the role, therefore he is the best and can never be topped�. However, isn't Craig doing exactly the same thing? People might compare him to Connery, but isn't his portrayal his own take on the role? Furthermore, Craig has said he's studied the Bond films, seen all the other actors' takes on the role and now he's going to start afresh. I've heard many arguments involving Connery being the best Bond and in the end it all boils down to opinion, but occasionally I find myself becoming increasingly annoyed by the fact that Connery is the automatic choice for best Bond, in the media, on Bond message boards and in Bond-related books. Okay, so he was the first to play the role. So what? I think if Roger had played Bond first who knows, he may have been everyone's favourite. Let's get one thing straight here though- I don't have a problem with Connery. In fact, he's my third favourite Bond and I love his films, but let's not beat around the bush here...he's extremely overrated. He doesn't have the acting ability that a Daniel Craig has either. This gives Craig one distinct advantage. But only one. The rest is all against Craig. We've got to remember that Craig is the sixth man to play the role and if he can bring something different to the role that others haven't then he should well and truly be praised for it. I think in short though, Craig will never be the best Bond, never be the overall, conclusive BEST BOND. Why? Too many factors have already gone against him. Pitiful little factors too, like being labelled 'blonde Bond', 'short Bond', 'ugly Bond' and so on. As if the role wasn't hard enough already! 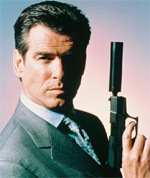 There's another factor I haven't even mentioned yet- the Brosnan factor! He has a whole generation of fans who will be vital to the success of Craig's films. If those fans are still upset and can never get over the fact there's a new Bond, then Craig's task becomes even more difficult. Craig may well get a generation of Bond fans following him, but will that be enough? The Connery and Brosnan factors are probably the most important points that will settle the issue: Craig won't ever Bond #1 to the majority of Bond fans.